At Calhoun Chiropractic our doctor of Oriental Medicine prescribes Chinese herbal formulas when she feels the patient needs more than just acupuncture to move forward with their health goals. There are ancient formulas for almost any health issue a person can have but in the US we no longer use herbal medicine for serious heart conditions or other potentially fatal conditions. 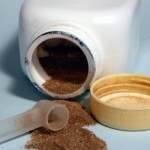 However, herbal formulas are safe and effective substitutes for many over the counter drugstore medications, and are used successfully for many common American health complaints such as: poor digestion, heartburn, GERD, headaches, diarrhea, colds, flu, coughs, allergies, itchy eyes, chronic rhinitis, menstrual and gynecological issues, fertility, dizziness, irritability, insomnia, dermatological issues, menopause, or just feeling “run down.” weak or fatigued. Dr. Palay will carefully go over all medications you are currently on in order to recommend and/or prepare a formula that will work with your other medications and not interact or interfere with their actions. When people think of taking herbs they probably picture raw herbs, but most people would be hard pressed to find the time to boil and prepare them. For that reason we recommend other formats – pills or capsules, or granulated.Granulated herbs are stronger than pills; your formula comes as a powder which is dissolved in a small amount of water to take. 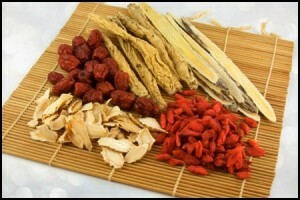 Chinese herbal medicine is thousands of years old. Through careful observations and analysis of the results many safe combinations of herbs have been discovered.Today research continues to refine our understanding of how single herbs and herbal formulas impact the body to promote health. Herbs are natural and more gentle on the system than pharmaceutical drugs. Another advantage is that mother nature herself has balanced a plant’s chemical constituency. Since Chinese medicine utilizes the entire plant instead of isolating one active ingredient, herbal formulas tend to have fewer side effects (if any) versus pharmaceuticals. There are a few major philosophical differences between Chinese herbal medicine and Western pharmaceutical drugs. Individualization. Chinese herbalists are trained not just in the formulas but in the single herbs that are in the formulas. This allows them to knowledgeably adjust percentages of herbs in a formula, or add or subtract them to ensure that each herbal prescription will treat the whole person and not just one symptom. No side effects. Chinese medicine views side effects as a learning experience to revise formulation. A well balanced and harmonized formula does not cause side effects. Short term use. Unlike pharmaceutical drugs, which frequently try to replace or mimic a bodily process by providing a particular chemical, enzyme, precursor molecule, etc., Chinese formulas are designed to prompt your body to regain it’s natural function. As your body responds to the formula changes are made that reflect those improvements, so that the patient is continuously moved towards their healthy state and then taken off the herbs entirely. Natural. There is no toxic chemical load from herbal medication. Gentle. This is not “one size fits all” medicine. Because the formulas are customized to get at the root of your health concerns they take your underlying constitution into account and are never harsh. Dr. Palay uses the Crane Herb Company to prepare your formulas. Their unique system allows her to individualize your formula to meet your particular needs. It also ensures freshness – since their inventory turns much faster than ours would in the office, ensures quality through extensive testing of each batch of herbs, and expands the selection – Crane stocks a much broader array of herbs than we could in the office, so there is never an instance when we can’t get you what you need. KPC’s premium Chinese herbs, herb extracts, and herbal preparations have made it one of the most established and respected producers of concentrated Chinese herbs in all of China. KPC works with botanical pharmacology experts who use sophisticated scientific analysis to validate herb identification. During formulation, KPC’s herb extracts are regularly tested to insure that they meet both GMP quality standard and KPC’s own even higher expectations. All products are analyzed for heavy metals and harmful bacteria such as salmonella, E. coli, molds, and yeast. Gas chromatography (GC) ensures safety by testing for over 200 pesticides, herbicides and fungicides. High-pressure liquid chromatography (HPLC) measures potency by assuring consistent levels of active ingredients. We use inductively coupled plasma-mass spectrometry (ICO-MS) in testing. ICO-MS is the future of nonorganic (heavy metal) testing. It is the most precise and sensitive available for heavy metal testing. Other systems in use today are sensitive to subparts per million (ppm), but the ICP-MS can detect elements in the subparts per billion (ppb) range — and even some elements in the subparts per trillion (ppt) range. In general herbs are safe, but a person should never attempt to diagnose themselves and order herbal medicines off the internet. Chinese-style diagnosis is critical to choosing the right formula, so make sure to consult your acupuncturist/herbalist before buying anything.